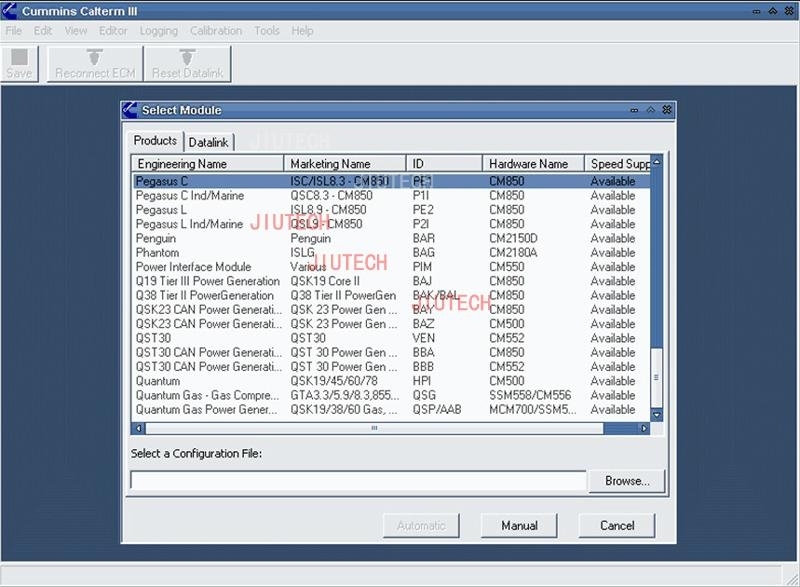 Calterm III is an engineering development tool used to monitor Electronic Control Modules for Cummins engine systems and to alter the calibration data contained therein. Calterm III is designed to modify fueling calibration parameters and feature settings in an engineering development and test environment. 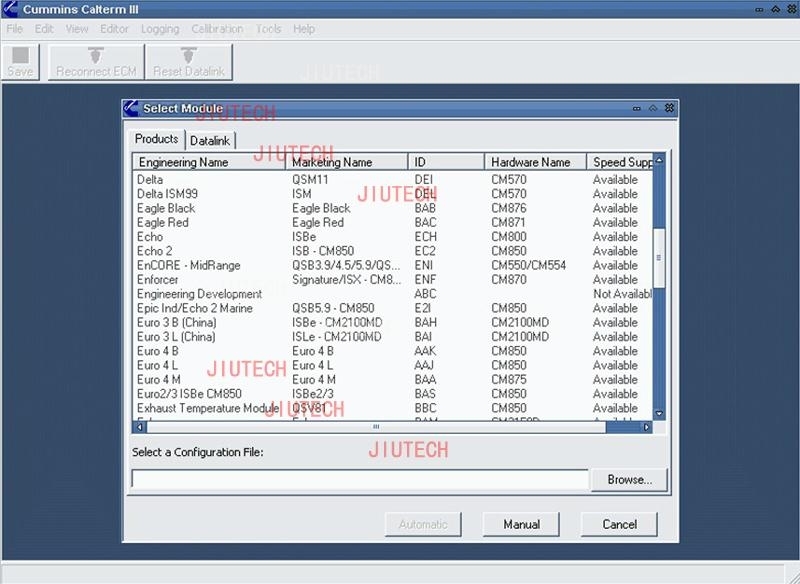 Purpose The development process for electronic engines requires PC support tools which interface to the electronic subsystem, and its various feature sets. Calterm III is used to increase the productivity of the engineers developing electronic engine features by providing diagnostics, simulation, and value manipulation capabilities for Electronic Control Modules (ECMs). 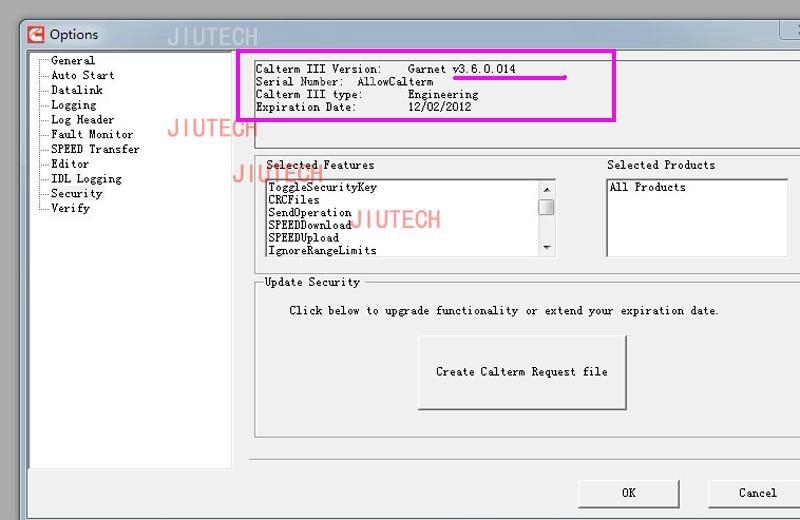 As is the case with most support tools, Calterm III attempts to work with all of the features in the ECM. However, this superset of functionality is not always feasible given the rapid growth and change being experienced in Cummins electronic systems. 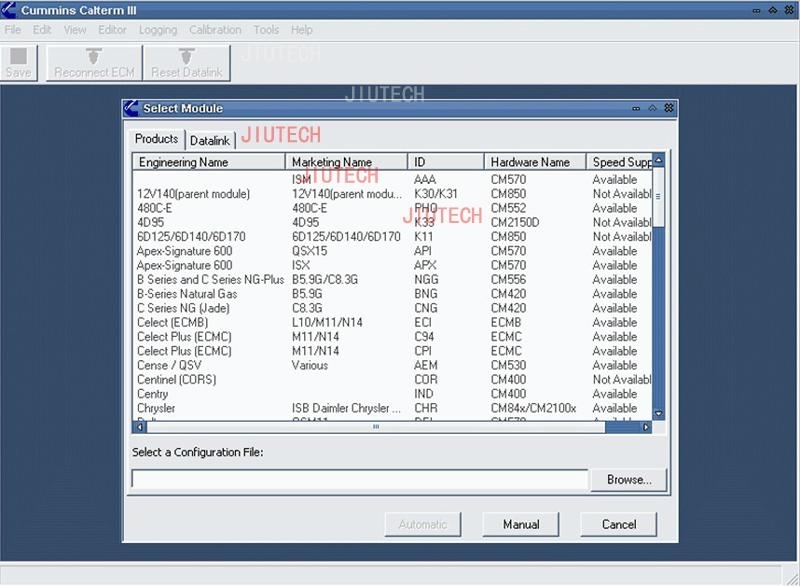 As a way to try to give the most support to every electronic engine program, this tool will provide a base set of capabilities which will work on any ECM following the CORE Tools Interface standards. Customized or unique capabilities will then be added, as they are needed. Calterm III was initially designed to support the Global Tool Interface Specification, GTIS, 4.5 and Core-II based software. With the release of Calterm III, version 3.0, support for virtually* all Cummins electronic engines is supported. Calterm III Aconcagua Calterm III Aconcagua 3.0.0 is designed to support all Cummins electronic control modules from Core-1/GTIS Pre-2 to Core 2/GTIS 4.5. Calterm III replaces the legacy tools: Calterm II, NGET, Unlock and Engineering ESDN. Considering the amount of User Interface and functional changes to the Calterm III, version 3.x tool, it is fitting that these builds are associated with Mountain range nicknames.